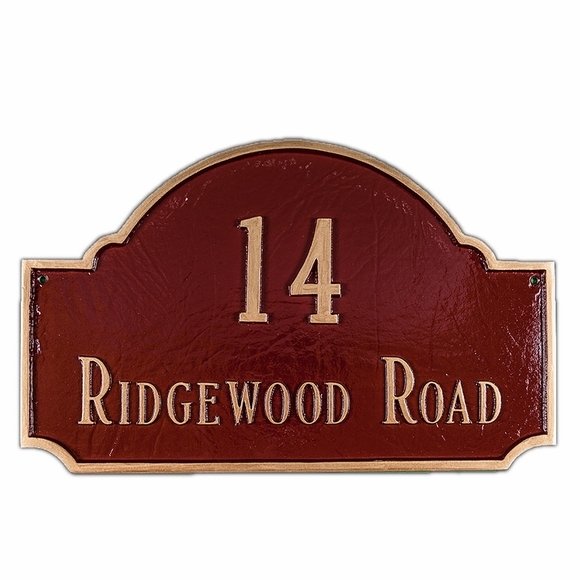 Personalized 2 Line Decorative Arch Address Sign - - dignified modified arch plaque holds up to five 4.5" characters. Made in USA. Two lines with up to five 3" characters on line 1 and up to 17 characters on optional line 2. Bought this as a gift for my in-laws. They live on a corner property and say that many delivery people have a hard time finding their address. Now they have this beautiful sign down on the corner of their lawn, it looks great and identifies their address much better!